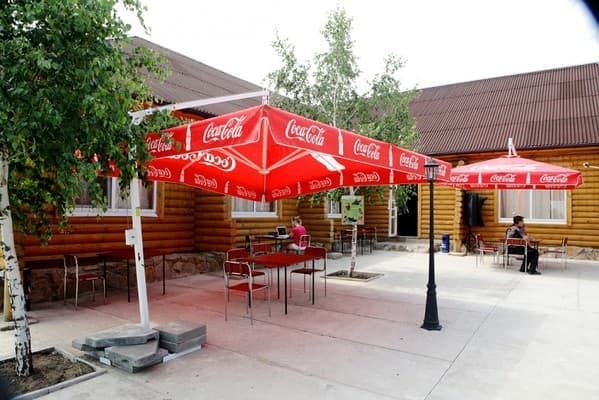 The modern recreation center "Arcadia Gold" is located in Primorsk, at a distance of 650 m from the Sea of ​​Azov. Offers guests accommodation in rooms of various categories, which are equipped with their own bathroom, comfortable furniture, TV, and superior rooms - air conditioning and refrigerator. All rooms have Wi-Fi access. 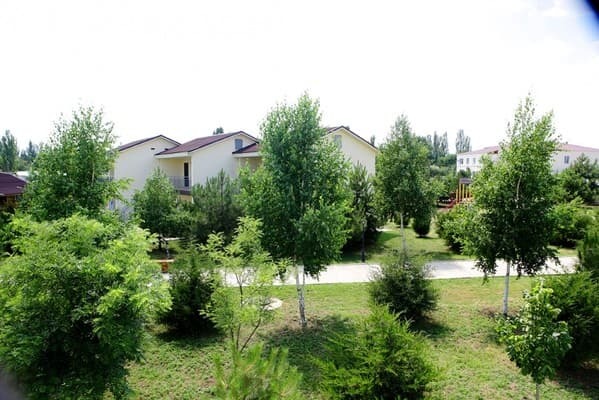 Living at the recreation center "Arcadia Gold" can relax among the many coniferous trees, in a large outdoor pool, on the volleyball court, playing badminton or tennis on the tennis tables. 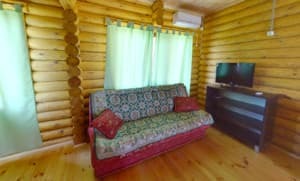 Description of the room: A cozy room is equipped with a large double bed and a sofa. ATTENTION: When booking a residence, be sure to order food (estimated cost is 280 UAH per adult, 210 UAH per child). 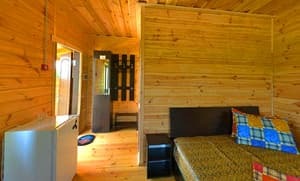 Description of the room: The cozy room is equipped with a large double or twin beds. ATTENTION: When booking a residence, be sure to order food (estimated cost is 280 UAH per adult, 210 UAH per child). 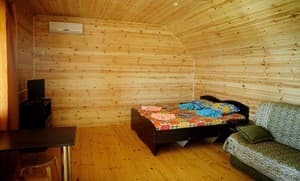 Description of the room: A cozy room with a studio, which is equipped with a large double bed and a sofa. ATTENTION: When booking a residence, be sure to order food (estimated cost is 280 UAH per adult, 210 UAH per child). Description of the room: A cozy two-room suite which is equipped with a large double bed and a sofa bed. ATTENTION: When booking a residence, be sure to order food (estimated cost is 280 UAH per adult, 210 UAH per child). 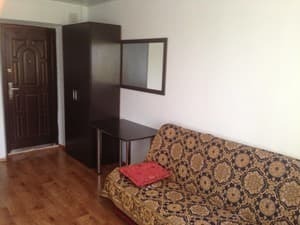 Description of the room: A cozy two-room suite with a kitchen, which is equipped with a large double bed and a sofa bed. ATTENTION: When booking a residence, be sure to order food (estimated cost is 280 UAH per adult, 210 UAH per child). 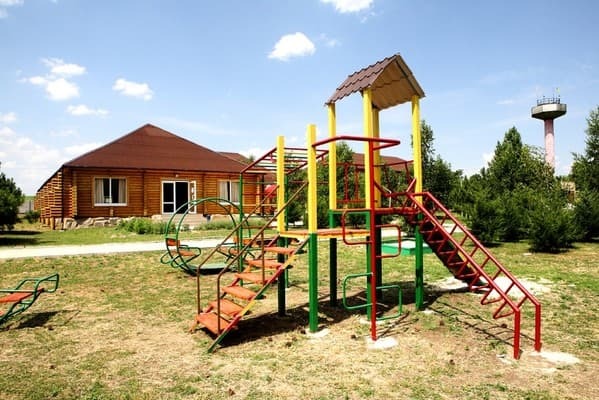 Children under 5 years are accommodated free of charge without providing extra space. The cost of additional space is 70 UAH per day without meals. The cost of 2 meals a day - 200 UAH per day per person for adults. The cost of 3 meals a day is 250 UAH per person per day for adults, and 220 UAH per night for children up to 14 years. On the picturesque shore of the Azov Sea. It is possible to get by train: to the station. Melitopol or Berdyansk. Also by bus from the city of Zaporozhye to the town. Primorsk.